Sean, Gir is definitely on my shortlist! Tmwnn, awesome, then my work here is done Under blacklight Princess's hair glows pink, when the light is off it glows orange. She's a great glowy Pop! Swind15, I'll add your comments to the list. Totally agree with you on Frankie, very disppointing. Bride is bad too. Neu, there really isn't a way, that's one of the reasons I started this thread, so we could share info on that. Sometimes it's hard to tell even when you have the Pop in your hand, I am still not sure if Pumpkin Jack is painted or molded gitd. that baseball bat case is genius! and the lights make it just like ridiculously awesome. very jealous! I love that thread, lots of really inspiring display ideas there! i was just gonna post this i found one at movie stop yesterday and his glow is amazing! treswright wrote: Tmwnn, awesome, then my work here is done Under blacklight Princess's hair glows pink, when the light is off it glows orange. She's a great glowy Pop!. Awesome, thanks. I noticed she takes a lot of light (incandescent), but has a neat glow once I get her charged. I also got a GITD Creature Pop!. He glows well, but BMO still beats him somehow. That thing is supernaturally bright. Tmwnn wrote: Awesome, thanks. I noticed she takes a lot of light (incandescent), but has a neat glow once I get her charged. Sweet! I really need to get a BMO one of these days, but he's not cheap! But I have no idea how effective they are. In reading the reviews some people say they're great and others say they're too dim. Really? I thought it has a pretty decent glow. Here is a pic I took with the GITD HT Jack Skellington. Thanks for the advice! I wish I had an electrical outlet where my display shelf is. Would make things a lot easier that's for sure! My Gir glows pretty good as well. Also, was able to snag GITD Lo Pan from FYE today. Got my Gir yesterday and mine is just as Joe described his- body glows fantastic, head almost not at all under black light. With the black light off the head does glow, but not nearly as bright as the body. Very disappointing compared to the other super-bright glowers in my case. Ed, did you charge yours under incandescent lighting or UV? Maybe that's the difference. I would add Ant-Man GITD to the list of bad glows. It's pretty basic (just eyes and chest) and the glow fades pretty fast on mine. Thanks Mike, I thought it was already on there but it wasn't! I got the Nightmare Before Christmas Pocket Pop GITD set. It doesn't clearly say it on the package, but I think only Oogie Boogie glows. It's actually on Barnes and Noble's website, but I was too stupid to find it and bought it off eBay instead for like $4 more. On B&N's site, it seems to emphasize that only Oogie Boogie glows in the description: "Jack, Sally, GLOW Oogie B&N Exclusive." I will say he glows well, though. Goku only glows if exposed to UV light. My pops are in a room that doesn't get any sun, and I thought I'd accidentally been sent a normal Goku. Out of the ten or so glow in the dark Pops, I have, he's the only one that needs sunlight to glow. Saw quite a few BN Exclusive GITD Hulk at my local BN today. There was one mixed in with the other Pops! and six behind the register. What an awesome thread!! 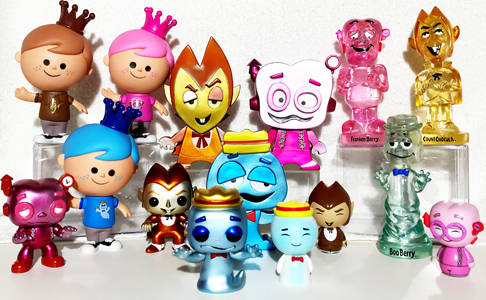 I love the glow POPs as well & I have an array of them from different lines! Some of my favorites are the Holo Darth Maul, the glow Cthulhu, the glow Tossakan (one of the best & brightest gitd POPs out there), glow Gir, glow Vault Boy, SDCC glow Billy from Saw, & the Dallas Con glow Reverse Flash!! I don't have pictures handily available at the moment, but stay tuned to see some awesome pictures of these exclusive gitd POPs! Lastly, may not be the brightest glowing POPs, but my #1 favorite gitd POP is the HT exclusive gitd Winter Soilder Captain America!! Hey all, these are amazing pics. I don't have an GITD pops except the Winter Soldier Captain America one, which I bought very recently on ebay to add to my Cap collection. However, he doesn't seem to glow. Does Cap need sunlight to glow? If I put him by a window for a day, will that help? And can anyone tell me how much and where he should glow? Box and pop look authentic and the seller had great feedback, but the lack of glow is a bit of a disappointment. Hey all, well it's been kind of a glow drought for me since I picked up Pumpkin Jack, but that's about to end as I've got a couple on the way I am REALLY stoked about the orange NYCC Catbug, the blue one is one of my favorites in my UV case, hopefully the orange one glows just as brightly! The NYCC GITD Godzilla is on the way too, hopefully it's a good glower too. I also saw this Pop Asia one posted in one of the forums and it is absolutely a must have for me! Claire, not all the Pops are good glowers. Some are exceptional, some are average and some are just plain poor. I don't have that particular one, but based on Josh's post just before yours it sounds like it's not a real bright glower. I would not recommend putting him in direct sunlight all day, it'll fade the paint and charging him for more than 5 or 10 minutes is just overkill anyway, he won't glow any brighter or longer past that. Try charging him under a black light and various other lights (incandescent, compact fluorescent) and see which works better. is the godzilla staying in the box or is an epic diorama in the works already? based on what i've read it sounds like there can be a lot of variance within one character's glow. i guess it's partly dependent on the production somehow. JoeCoolTM wrote: is the godzilla staying in the box or is an epic diorama in the works already? Well since you asked... I also ordered the burning Godzilla. The plans are to do a foam core riser split down the middle. One one side will be black foam core buildings similar to the backdrop I did for the Ghostbusters Pop display with red LED uplighting and the burning Godzilla stomping through the buildings. On the other side will be the same, except all white foam core, blue LED uplighting and the glowzilla. The only thing I'm not sure about is if I can get it all to fit one one shelf of the Detolf, I need to actually see the Godzillas (see how big they are) so I can figure out if there's room or not. If there's not room for both of them then I'll just do one of them, or do a horizontal split or something. ryanc_ wrote: based on what i've read it sounds like there can be a lot of variance within one character's glow. i guess it's partly dependent on the production somehow. Is there a big variation in glow quality? Because my pumpkin king I have placed in direct sun on the window sill for an entire day and in darkness it is so faint at glowing that I really have to try hard to see it. It only shows in 100% darkness too. KultKlassics wrote: Is there a big variation in glow quality? Because my pumpkin king I have placed in direct sun on the window sill for an entire day and in darkness it is so faint at glowing that I really have to try hard to see it. It only shows in 100% darkness too. There is. Some glow really nice and some dont. I would recommend a black light. 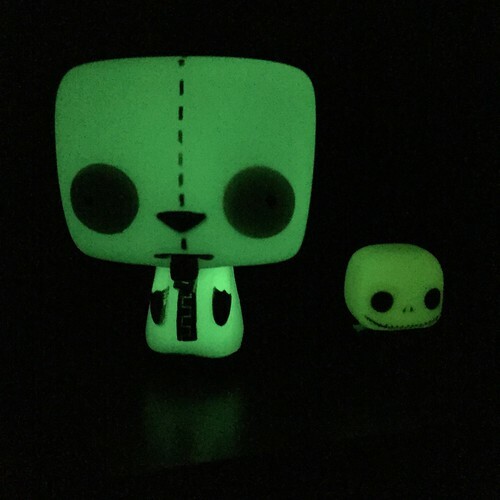 I have seen a lot of pops that dont glow after hours in direct sunlight and then they do glow with a few seconds under a black light. Interesting. I put my 750 lumen flashlight on him for about 20 seconds, he had a decent glow but it doesn't last much longer than a minute. I think I will give this UV Bulb at home depot for $5 a try. 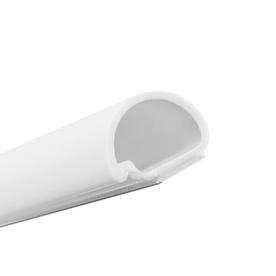 Anyone use anything similar? Kult, I've tried Pumpkin Jack under UV light. With the light on he does not "activate" like the better glowers. He just looks like a painted Pop. With the light off he glows orange for a while and looks cool, but again he's not very bright. treswright wrote: Kult, I've tried Pumpkin Jack under UV light. With the light on he does not "activate" like the better glowers. He just looks like a painted Pop. With the light off he glows orange for a while and looks cool, but again he's not very bright. to get mine, can't wait! Hey guys, just wondering if someone can help me out. I just got the Japan exclusive Spider-Man and the Harrisons Deadpool and was wondering what colour they are meant to glow. I have seen pics of spidey glowing kinda redish but mine has a whitish green glow to it. Is that normal? Is there any difference between the Japan exclusive and the gemini one? Is this the one that just the hand glows on? ne0rest, I don't have either of those but hopefully someone else can weigh in!